Free for the first 200! Calming for dogs and cats is a supplement made with all natural ingredients that helps alleviate stress related behavior problems without affecting your pet's personality or energy level. 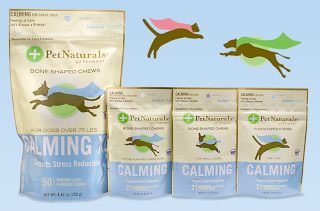 Calming can be used daily, or when extra support is needed, and comes in a tasty chew that your pet is sure to love.